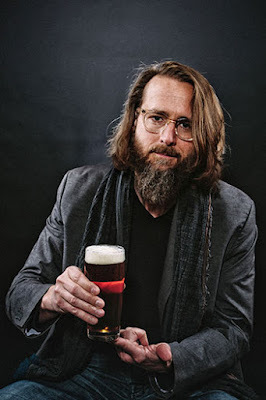 ESCONDIDO, CA (Sept. 11, 2015) – Today, San Diego-based Stone Brewing Co. is pleased to announce that co-founder Greg Koch will be promoted (with the blessing from his business partner, of course) from CEO and transition into a new role as Executive Chairman. The incoming CEO is expected to lead day-to-day operations and initiatives. Ultimately, once this future candidate is selected and the onboarding process is complete, Koch will focus on long-term and higher-level strategic planning for the company. Koch has served as CEO for the past 19 years. Since starting the company with President, co-founder & original Brewmaster Steve Wagner in 1996, Stone has become one of the fastest-growing and highest-rated breweries in the world, thanks to dedicated fans and Koch and Wagner’s commitment to brewing amazing craft beer. The ninth largest craft beer company in the United States now employs more than 1,100 employees and operates multiple locations in Southern California, including two Stone Brewing World Bistro & Gardens restaurants. 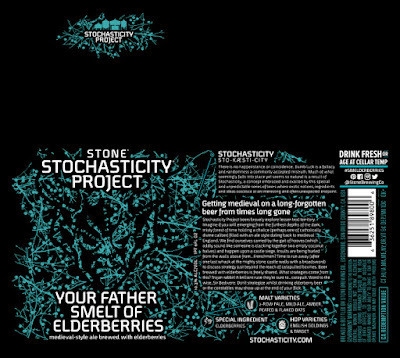 In July 2014, it was announced that Stone would become the first American craft brewer to independently own and operate a brewery in Europe. Koch will continue working closely to complete the development of Stone Brewing Berlin and oversee the company’s expansion into Richmond, VA. There is no set timeframe or expected hire date for an incoming CEO. The priority is to find an individual with the necessary skillset, passion for Stone and all things craft beer, and one who can support the efforts to provide high-quality craft beer worldwide. Founded by Greg Koch and Steve Wagner in 1996, San Diego-based Stone Brewing Co. is the ninth largest craft brewer in the United States. 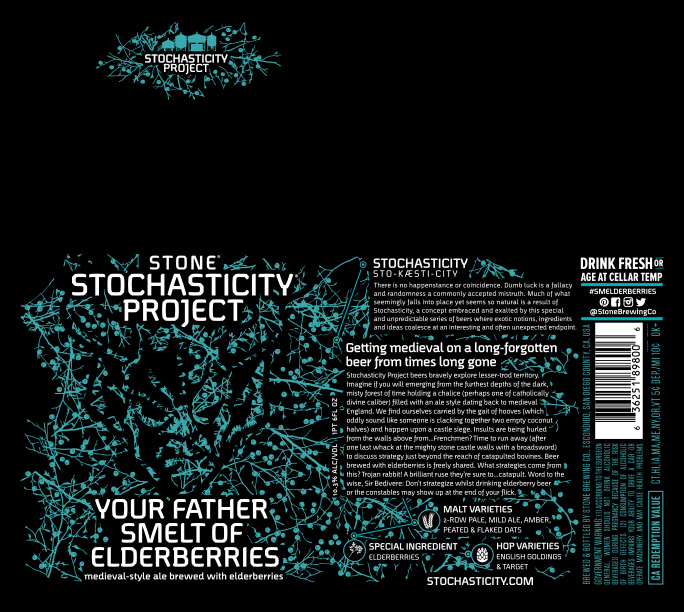 Stone has been listed on the Inc. 500 | 5000 Fastest Growing Private Companies list 11 times, and has been called the “All-time Top Brewery on Planet Earth” by BeerAdvocate magazine twice. The multifaceted company will be the first American craft brewer to own and operate a brewery in Europe, and is also building a production brewery and destination restaurant in Richmond, Virginia. Brewing at both locations is anticipated to begin in early 2016. Known for its bold, flavorful and largely hop-centric beers, Stone has earned a reputation for brewing outstanding, unique beers while maintaining an unwavering commitment to sustainability, business ethics, philanthropy and the art of brewing. 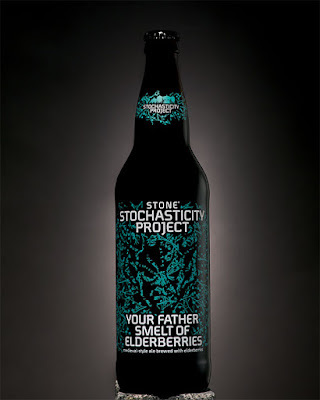 For more information on Stone Brewing Co., please visit stonebrewing.com or the company’s social media sites: Twitter, Facebook, Instagram, Google+, YouTube, Pinterest and The Stone Blog. 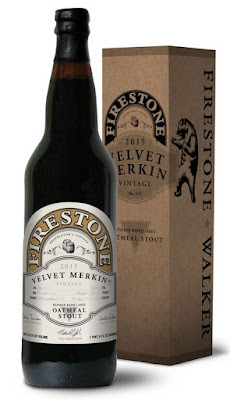 Paso Robles, CA: Firestone Walker Brewing Company’s Velvet Merkin barrel-aged oatmeal stout is set to return with its third bottled vintage—and this one promises to be the best yet. 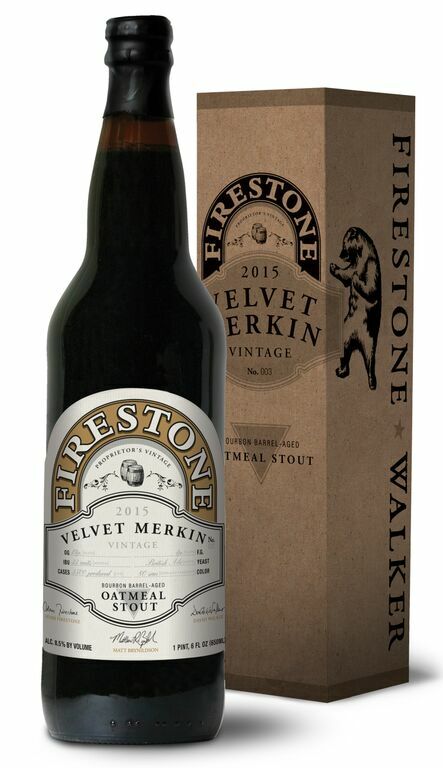 Velvet Merkin has always been the barrel-aged version of Firestone Walker’s seasonal Velvet Merlin oatmeal stout. What’s different this time is that the 2015 Velvet Merkin includes a barrel-aged lot of an experimental milk stout version of Velvet Merlin. The 2015 Velvet Merkin was aged in bourbon barrels from the Heaven Hill family, including Elijah Craig and Old Fitzgerald. The 2015 Velvet Merkin will be officially released at the brewery on Saturday, September 12. A total of 3,500 cases (22-ounce bottles; $16.99) were produced, with availability slated for select markets across the United States. 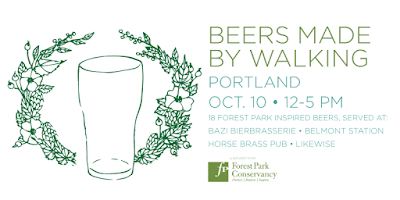 PORTLAND, OR - Beers Made By Walking (BMBW) invites brewers to create place-based beers inspired by plants found on nature trails. 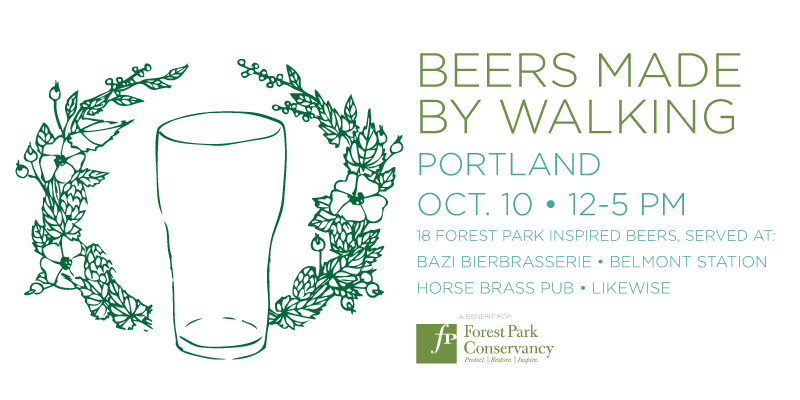 Today, BMBW announces a beer tapping event featuring 18 beers/ciders that were inspired by the trails in Portland’s Forest Park. The event takes place on October 10, from 12-5pm, at four different bars in SE Portland - Bazi Bierbrasserie, Belmont Station, Horse Brass Pub, and Likewise. The featured beers come directly from a collaboration with the Forest Park Conservancy, which sent experts to lead monthly public hikes with brewers in Forest Park. Hikes took place on various trails throughout Forest Park. “Cumulatively, the beers create a drinkable landscape portrait of Forest Park,” says Eric Steen, founder and director of BMBW. Bend, Oregon - 9 September 2015 - Worthy Brewing Company announces a series of limited edition beers, inspired by the 25th Anniversary of the Newberry National Volcanic Monument. The first in the year-long series is Newberry Eruption Imperial Red Ale, which will be released at the Stars Over Newberry event on Lava Butte, near Bend, Oregon, on Saturday, September 19. 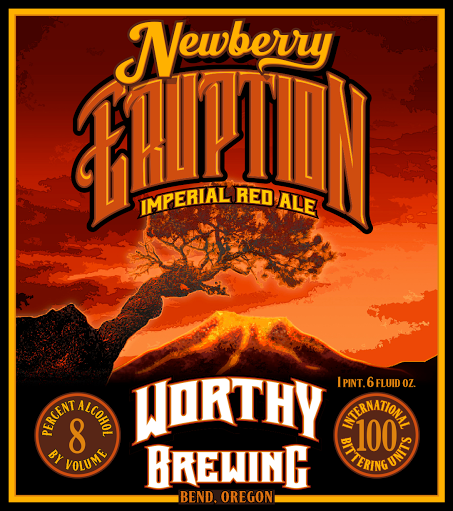 The Eruption Imperial Red Ale is one of Worthy’s most popular year-round offerings, which, along with the name, was the perfect fit for the series. The limited edition 22-ounce bottle will be released in Oregon only, with $1 from each bottle going to Discover Your Forest, which supports programs and visitor services in the Deschutes & Ochoco National Forests and interacts with over 200k visitors per year. The series will continue with another release in February 2016 and the final in the series in June 2016, each with a limited edition 22-ounce bottle and $1 from each sale going to Discover Your Forest. Tickets for the Stars Over Newberry event are available at www.discoveryourforest.org. Worthy Brewing Company opened its doors in early 2013, delivering remarkably balanced, filtered ales that are hand-crafted using premium ingredients and the pristine water from the Cascade Mountains in Bend, Oregon. Worthy’s campus includes a large outdoor biergarten, full restaurant, and a greenhouse and hop yard onsite for growing estate and experimental hops in conjunction with Oregon State University and Indie Hops. An expansion with expanded restaurant seating, a banquet space, and an observatory is planned for Spring 2016. Peche Fest -- Oregon's only festival dedicated to drinking the world's greatest fruit--the peach--returns for its 3rd year on Saturday, October 10, at Saraveza and the Bad Habit Room. 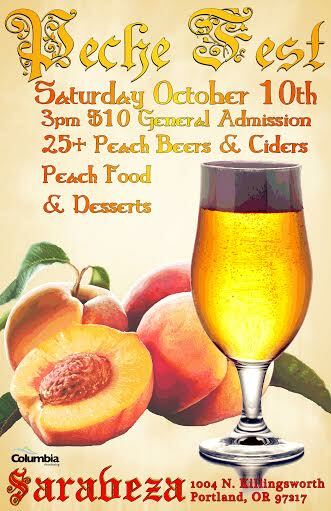 Stuffed with tart and fuzzy peachy goodness, the Peche Fest features 25+ rare peach beers and ciders, food made with peaches, cocktail specials, and a newly added VIP session. The 4th annual Peche Fest has the most exciting lineup of rare peachy keen beers ever (and two ciders) like Upright Brewing's Fantasia, Logsdon's Peche 'n Brett, Block 15 Brewing's Peche, Epic Brewing's SOUR Brainless on Peaches, Finnriver Cider's Peach Brett Tart Cider, Double Mountain's Peche Mode and even a new beer from award-winning brewmaster Tonya Cornett brewed exclusively for the fest. Attendees can expect a special peach-infused food menu with savory and sweet treats and a peach cocktail. The beer (and one cider) list is nearly complete with a couple of possible last minute additions that cannot be guaranteed yet (like very rare Crooked Stave Colorado Peach beer). 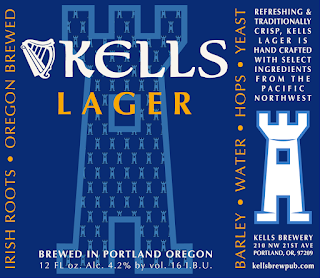 PORTLAND, Ore. – Kells Brew Pub is observing its third anniversary in Northwest Portland this month and the pub and brewery is marking the occasion with a daylong celebration on Saturday, Sept. 19 from Noon to Midnight. The event will feature $3 Kells beers all day, including its three flagship beers – Kells Irish Red, Kells Irish Lager and Kells IPA – as well as its stout on nitro and current seasonals. To complement the beer, head chef Travis Stark has created $3 Kells bites for the day: a stuffed lamb slider, a falafel slider and meatballs topped with Kells stout sauce. The celebration will feature live music by Bridgid's Cross from 6 to 8 p.m. and local favorite Sami Rouissi from 9 p.m. to Midnight. There is no cover charge. At 7 p.m., owner Gerard McAleese and lead brewer and pub manager Garrett McAleese, will raise a toast in honor of the occasion. The event will also serve as the release party for the brewery’s newly bottled beers. 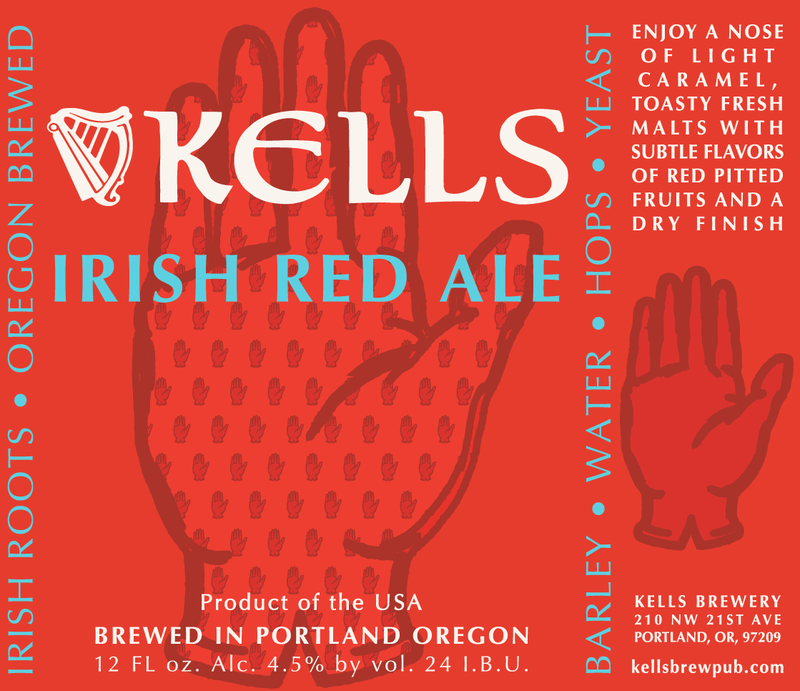 For the first time since its inception, Kells is bottling three of its products: its Red, Lager, and a rotational IPA (the initial version is dry-hopped). 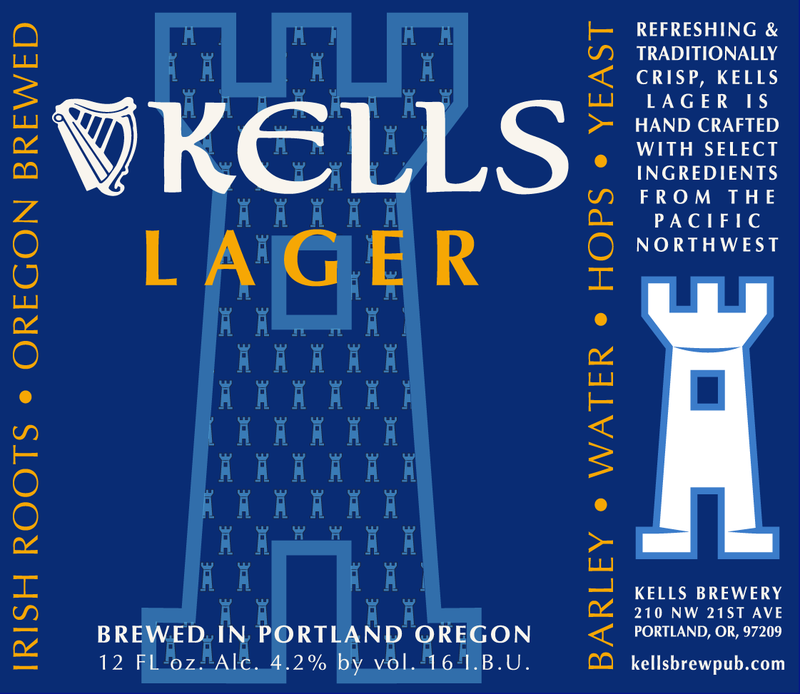 The brewery will bottle 20 bbls of its Lager, 10 bbls of its Red and a pallet of IPA on Sept. 16 from 9 a.m. to 1 p.m.
With a motto of “Irish Roots, Oregon Brewed,” the labels feature traditional Irish imagery, including a shamrock for the IPA, the Tower of Kells for the lager, and a red hand for the Red; a nod to the Northern Irish heritage of the McAleese family. The Red Hand of Ulster is a symbol used to denote an Irish tale in which a Viking longboat war party, closing in on the shores of Ulster, promised the first man to touch land full possession of the territory. On board was an Irish mercenary who severed his hand with his sword and threw the bloody hand ashore. 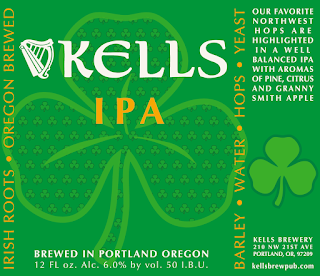 Kells will be bottling every quarter; the brewery will likely add seasonals to the rotation next summer. The brewery will sell its brown longneck bottles in crafted six-packs that will retail for $11.49. Garrett McAleese noted that if the brewery keeps growing at its continued pace and the retails takes off, a production brewery will be inevitable. Located at 210 NW 21st Ave., Kells Brew Pub is open to all ages from 11:30 a.m. to close Monday through Friday, and 10 a.m. to close on weekends. 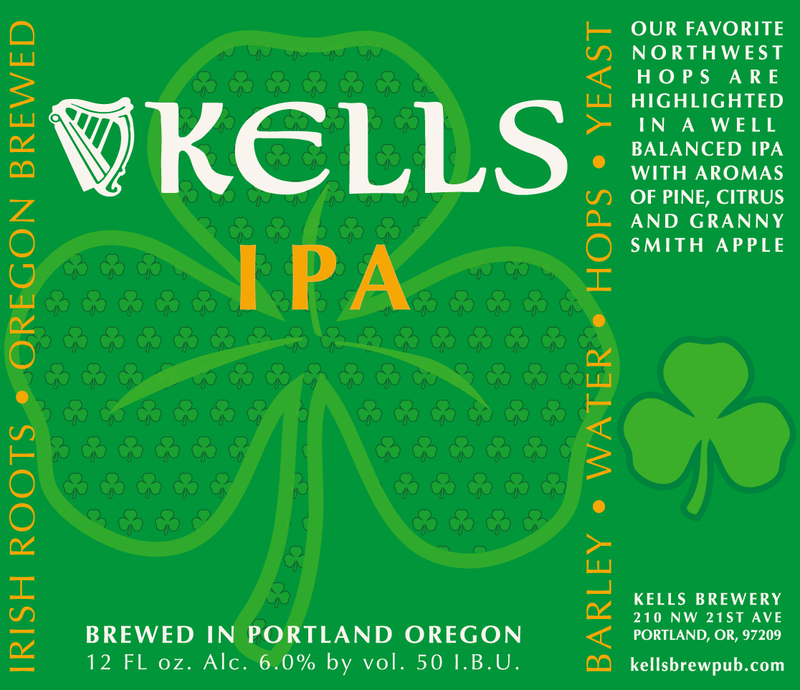 For more information, visit www.kellsbrewpub.com or call 503-719-7175. Boulder, CO • September 8, 2015—Representing the largest collection of U.S. beer served in a public tasting event, the 34th annual Great American Beer Festival (GABF) grows even grander this year. 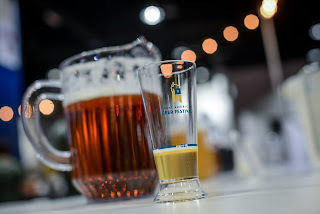 Presented by the Brewers Association, GABF will offer 90,000 additional square feet in the tasting hall, allowing 60,000 attendees to sample over 3,500 beers from 750 breweries from all over the country. · Sit & Sip, an opportunity to sit with brewers and hear about their beers. · You Be the Judge, learn how to taste and evaluate a beer like a certified beer judge. · Craft Beer Deconstructed, where beer ingredient suppliers will have samples and info about the beer ingredients used. · Art of Craft Beer, see some of Denver’s most talented artists create art inspired by craft beer from small and independent brewers. The new expanded section of the GABF tasting hall will also serve as home to the Meet the Brewer booths. Made up of just under 100 breweries, the Meet the Brewer area will have brewers or brewery staff on hand at each booth the entire time, pouring beer samples and talking to attendees about their offerings, with no assistance from GABF volunteers. 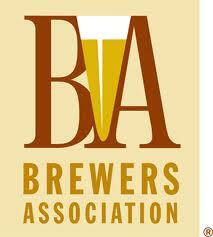 GABF will take place from September 24 to 26 at the Colorado Convention Center in Denver. For more information about GABF and a complete list of sponsors, visit the GABF website. Follow GABF on Facebook, Twitter (#GABF) and Instagram.